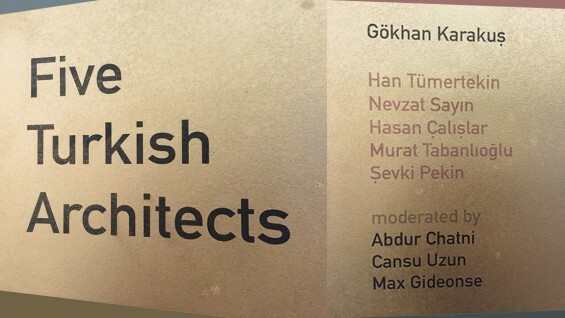 Gökhan Karakus, Han Tümertekin, Nevzat Sayin, Hasan Calislar, Murat Tabanlıoğlu, Sevki Pekin will be presenting. The School of Architecture Student Lecture Series is made possible through a generous contribution to the School of Architecture Dean's Circle by Elsie Jaffe and Jeffrey Brown. This event is open for students, faculty and staff of the Cooper Union.